Nothing could prepare Tana for what she would wake up to after the Sundown Party at her friends house; a massacre and her ex boyfriend tied to a bed, with a vampire at his feet, wrapped in chains. Needless to say Tana was not expecting anything like it and in a moment of madness decides to help. In a world where Coldtowns exist to keep vampires in and appear to be all night parties, humans are seduced, drawn to a world behind the walls, but once you enter, you can never leave and Tana has to make her choice where to go from here; home or to a world she always thought was a million miles away. I’m going to be honest and say I had no idea that The Coldest Gil in Coldtown was a vampire book until I started reading. I have actively stayed away from them for a while since they blew up all over the YA scene but had heard amazing things about this book with many people declaring it a favourite. Thankfully I didn’t let that put me off once I started reading and I really enjoyed the book. The story was interesting and I hadn’t read much like it. The cold towns sounded a bit like the arenas in Hunger Games and other such places from dystopian novels but this time there was a reason for them. I thought it was a bit crazy that certain things were allowed to happen but I thought Tana’s journey was a brilliant one and I liked how human even some of the vampires appeared to be! There were some unexpected twists and turns which kept me on my feet and I think thats what I enjoyed most about this book. Nothing much happened in the first 100 pages other than the farmhouse (which I guess was pretty big!) but once they got closer to Coldtown I really started enjoying the story more. Some of the characters really surprised me and I liked that a lot. The book did slightly disappoint with a couple of things, I wanted to understand some more things about Coldtown, like how people got out and who ran things but that didn’t happen. However the things I didn’t like so much were mainly just things that weren’t explained fully and I cant get over them. I did like the use of flashbacks and changes in perspective to get to know more about certain characters and events that were going on and thought that worked well. I also liked the idea of the TV shows and the way they showed exactly what people want to see, I find the whole celebrity culture ridiculed at the best of times and I like how this book shows the idea of celebrity’s true colours. I think if you want a bit of adventure and like supernatural books this one will be for you. There were elements of romance but they weren’t too overpowering so I could deal with them. I liked the way vampires were presented in this book and I think if you are a fan of supernatural books you’ll enjoy this. 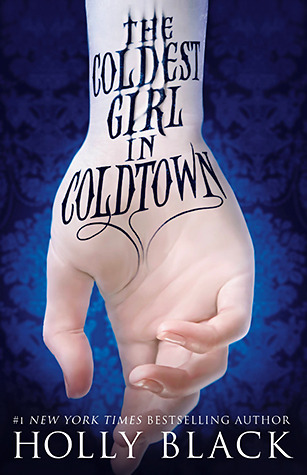 The Coldest Girl in Coldtown was published in on 3rd September by Indigo. My copy was sent to me from the publisher in exchange for an honest review.